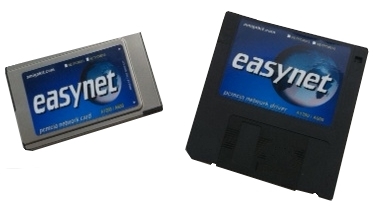 If you want to add your Amiga to a network or simply give it access to fast broadband internet through a router, an EasyNet Amiga ™ network card is essential. 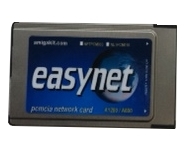 EasyNet Software This is a 10Mbps PCMCIA ethernet network card which hooks up to a router, hub or switch. It is compatible with the Amiga 1200 and Amiga 600. Network driver floppy disk compatible with AmigaOS 2.x, AmigaOS 3.x, AmigaOS 4.0 and AmigaOS 4.1. Disk also contains patches to prevent the A1200's PCMCIA reset bug. 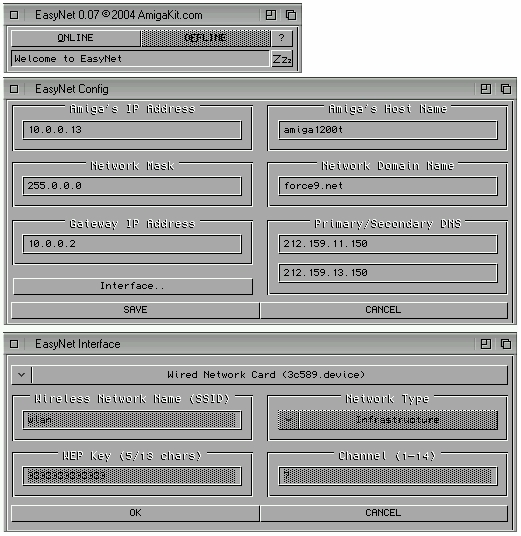 EasyNet CD which contains the latest distribution of EasyNet, AmiTCP 3 (AmiTCP 4.x with EasyNet Pro), AWEB APL Web Browser, Amiga Samba. Optional EasyNet Pro CD which contains the latest distribution of EasyNet Pro, AmiTCP 4, AWEB APL Web Browser, Amiga Samba. 10-page printed document containing tutorials/screen-shots on how to install the driver with Miami Deluxe, Genesis & EasyNet. The network card is supplied complete with a RJ45 connector.